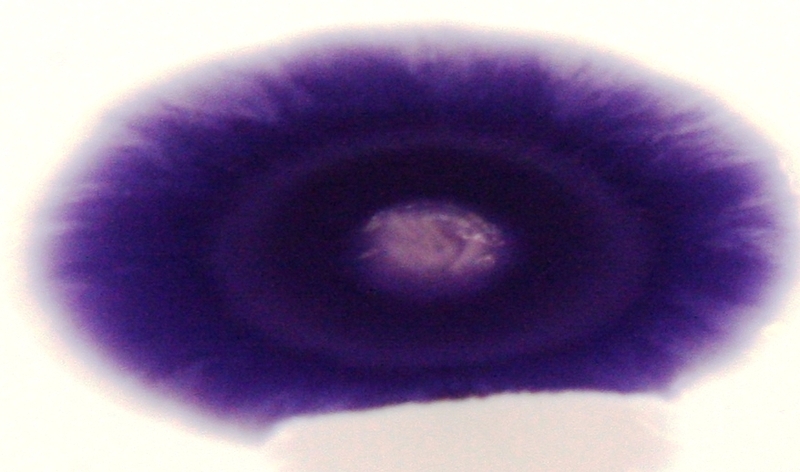 Chromobacterium violaceum is a common soil bacterium that produces striking purple colonies. 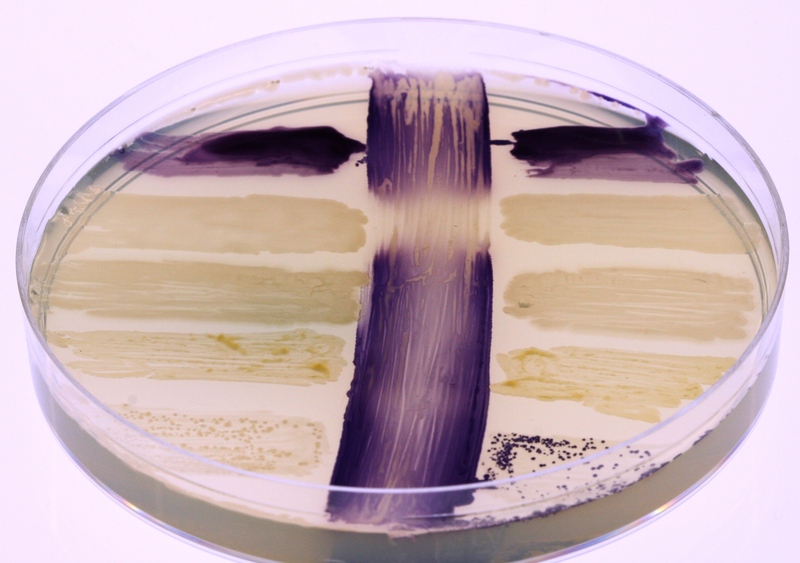 In relation to the concept above, the expression of this colour is dependent on bacterial communication so that when a small number of bacteria are present it will be white but it turns purple when it receives a communication from other bacteria. 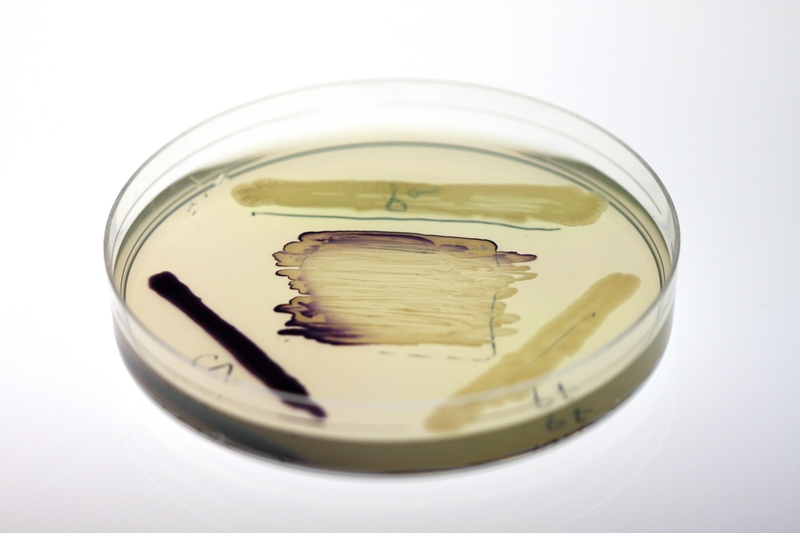 When it grows in colonies, individual bacteria of these species are continually sending and receiving signals and consequently the colony will be purple. I have a genetically modified version of this bacterium (CV026) that is effectively mute. 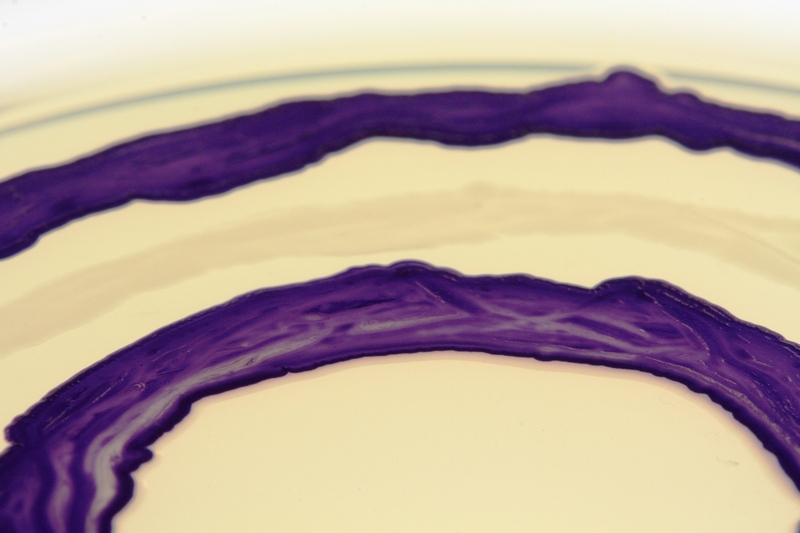 It can receive chemical communication signals and respond to them, but cannot send them, so that it only turns purple if it detects a communication signal from another bacterium. 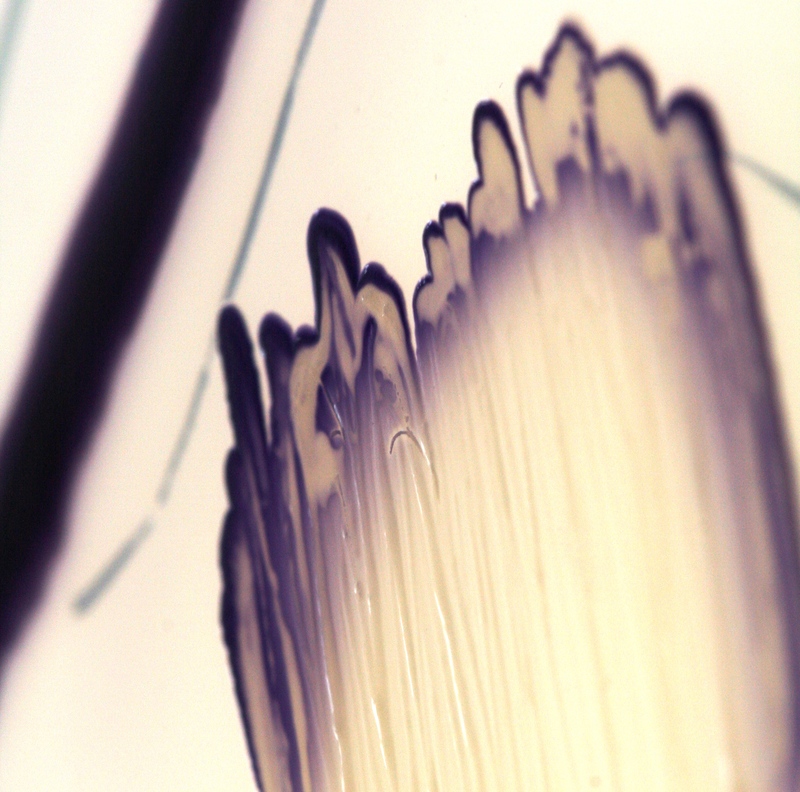 In this sense, it is a unique sensor for bacterial communication giving a striking and direct visualization of this phenomenon. These are experiments with CV026. 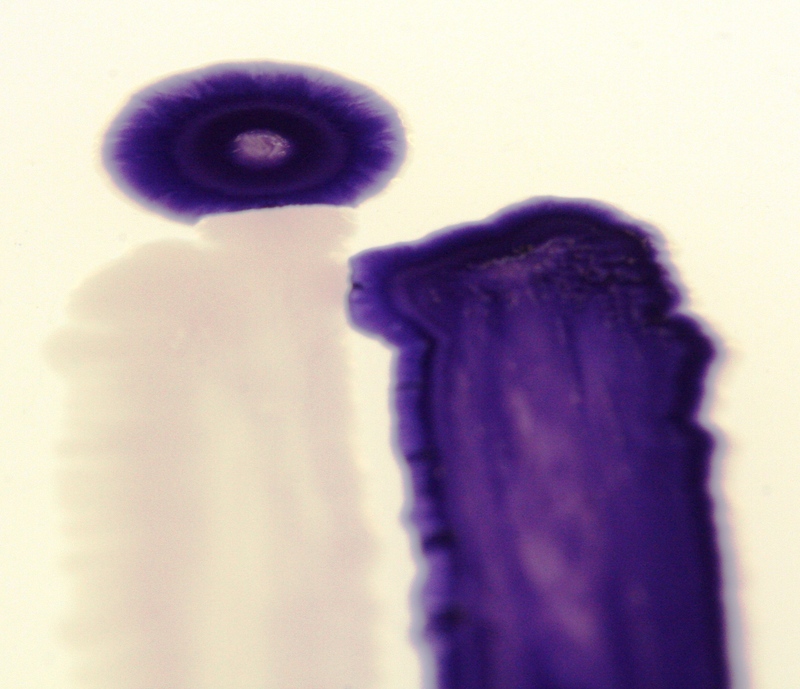 Where you see purple in the images, CV026 has detected and responded to communication signals produced by other species of bacteria.